September is the golden month for Beijing. I believe this has to do with the weather being perfectly sunny and cool at the same time. 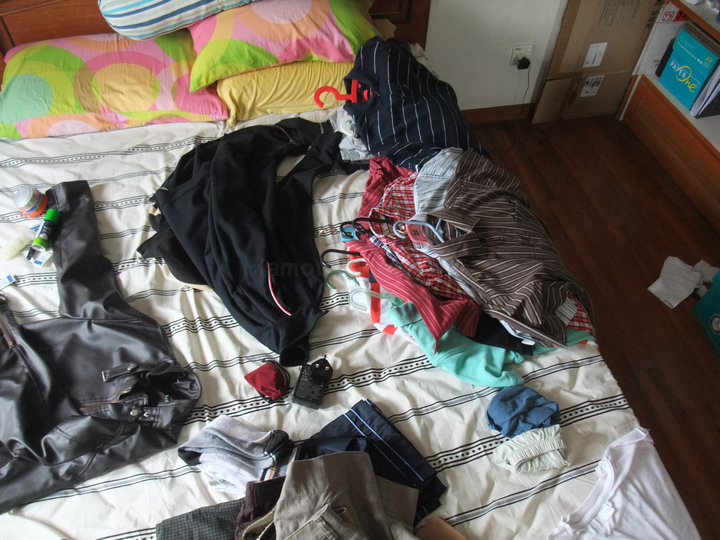 Packing actually started during the weekend before. 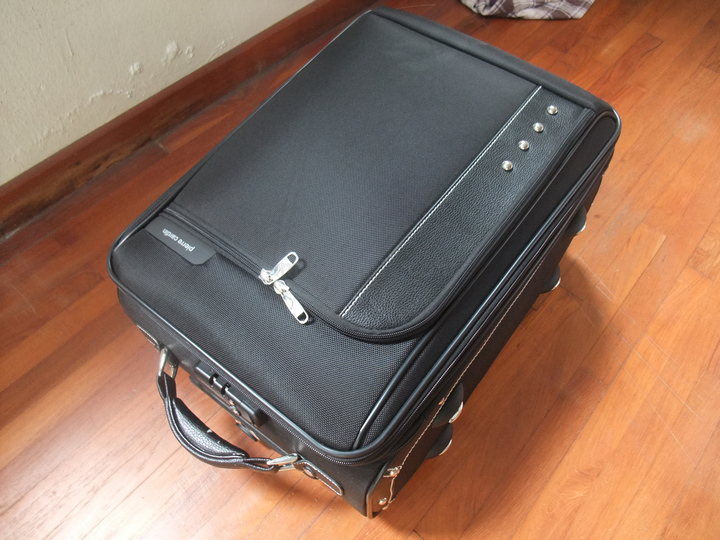 Decided to take the 4kg cabin sized luggage for checking in. 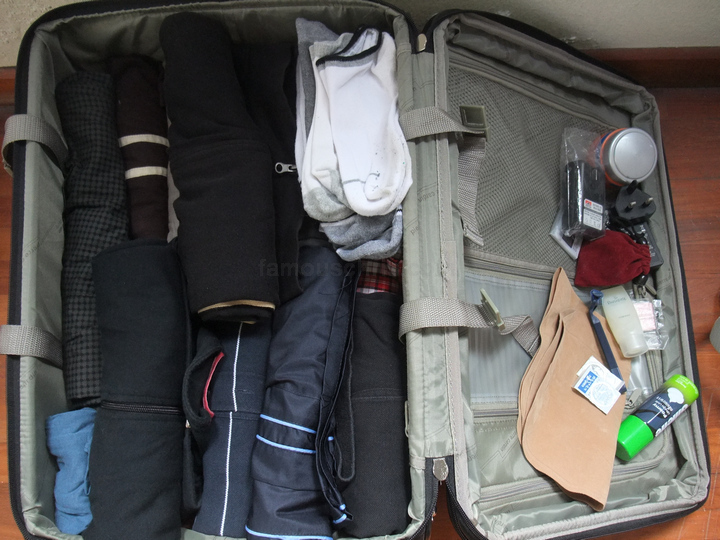 Everything compacted and nicely fitted into the bag. 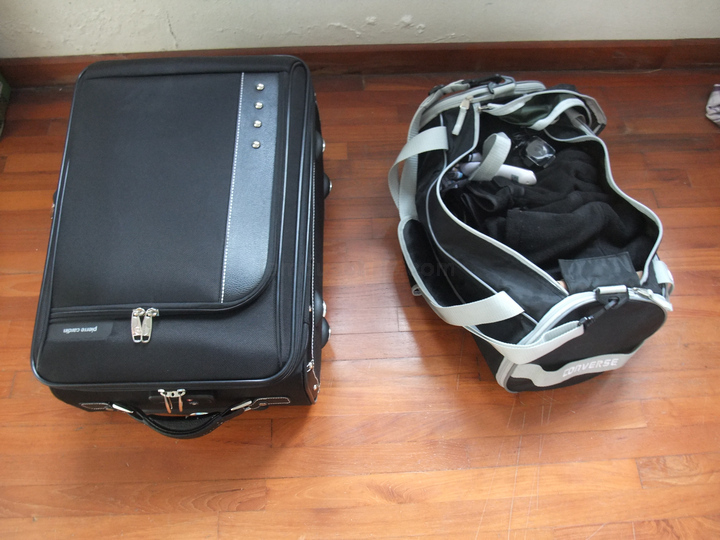 The 1kg Converse bag was the lighter one filled with important and essential junk to be carried with me into the cabin. 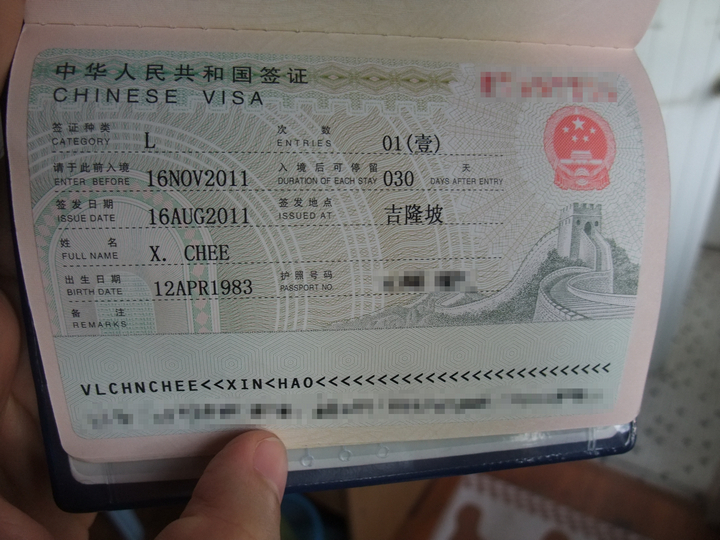 Submitted and received my Chinese Visa easily about two weeks ago. 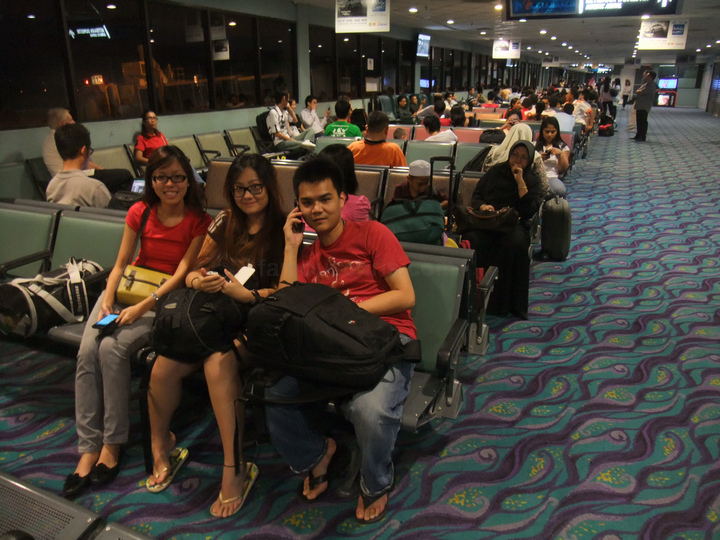 Yeah, China is one of the countries that require Malaysians to obtain visa before arriving. 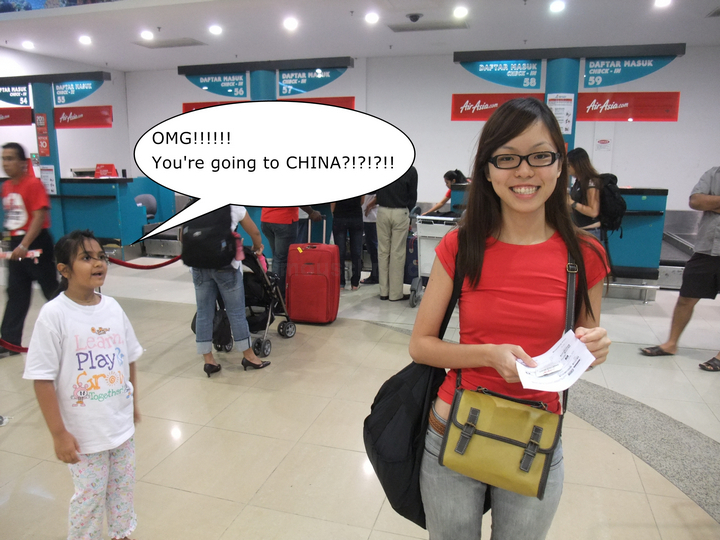 If my memory serves me right, it costs about RM90 to have it processed and done for you by any travel company. 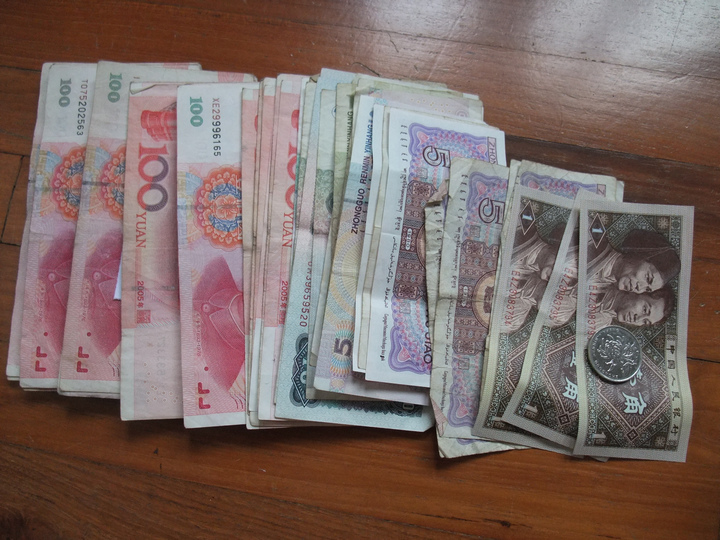 Lots and lots of Chinese Yuan (CNY) or Chinese Renminbi (RMB). 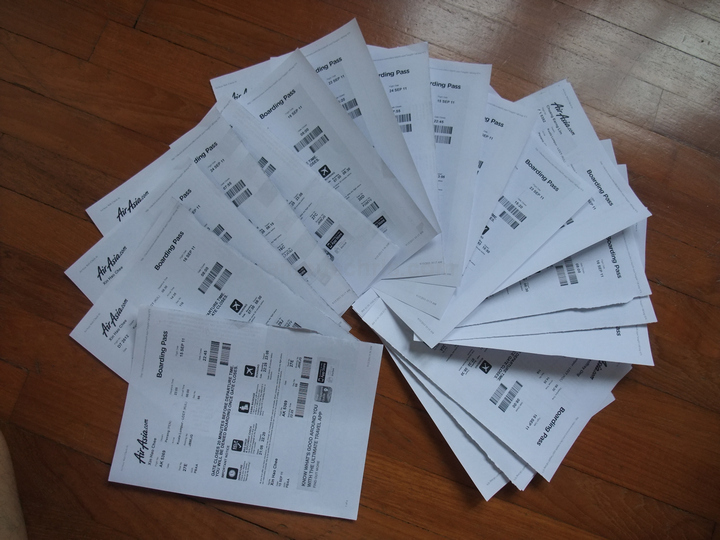 By noon of Day 0, the day we fly to KL for the layover from Penang, all the proper documents like email conversations with the hotel and Kong Lin our tour guide, Airasia boarding passes for every trip all the way from Penang to Beijing back to Penang, were printed out. Printed 2 exact copies and handed the other stack to Vivian. 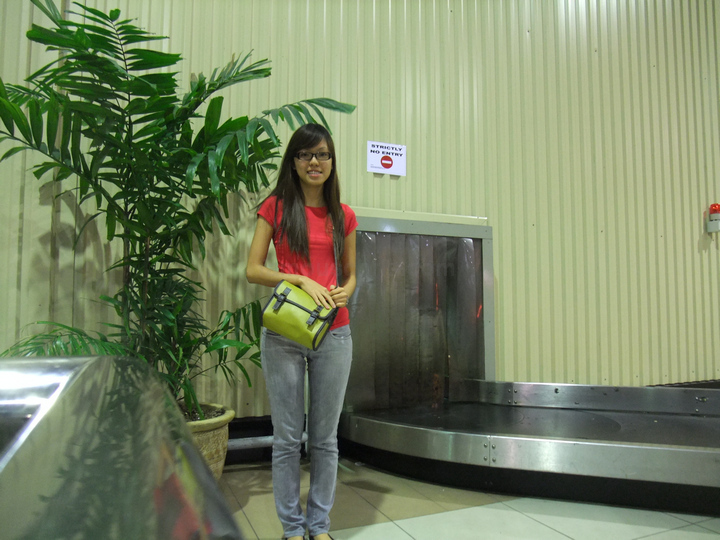 09.37 pm – Checking in our luggage at the AirAsia counter. 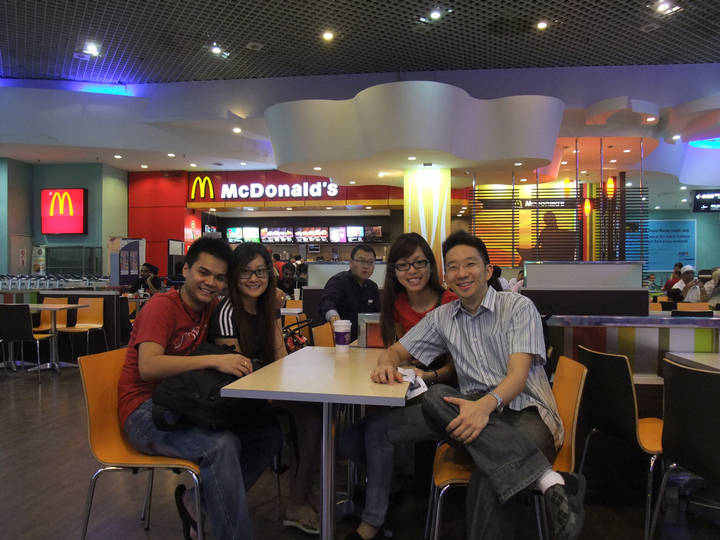 09.45 pm – Customary wait in McDonald’s until it’s time for boarding. 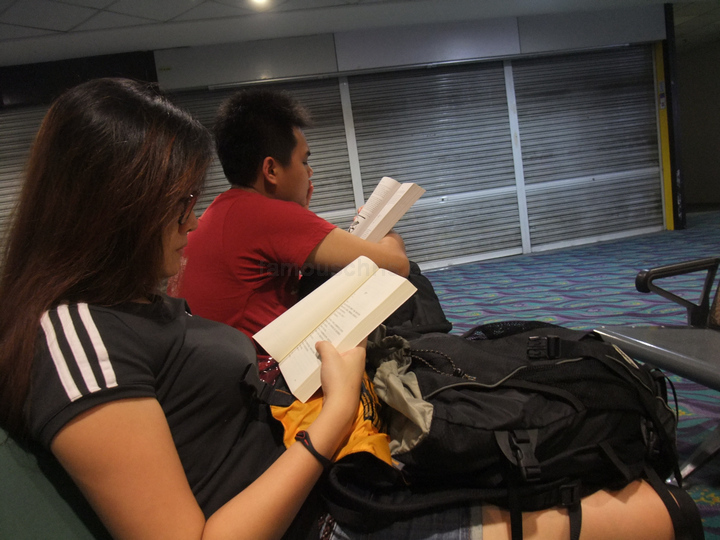 10.40 pm – At last, we found ourselves a nice spot at the waiting area by the boarding gate. 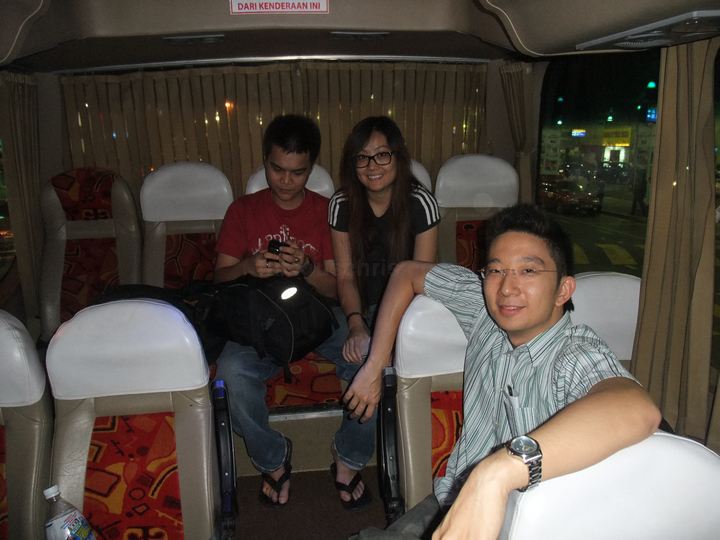 At about 12am, we boarded the plane. 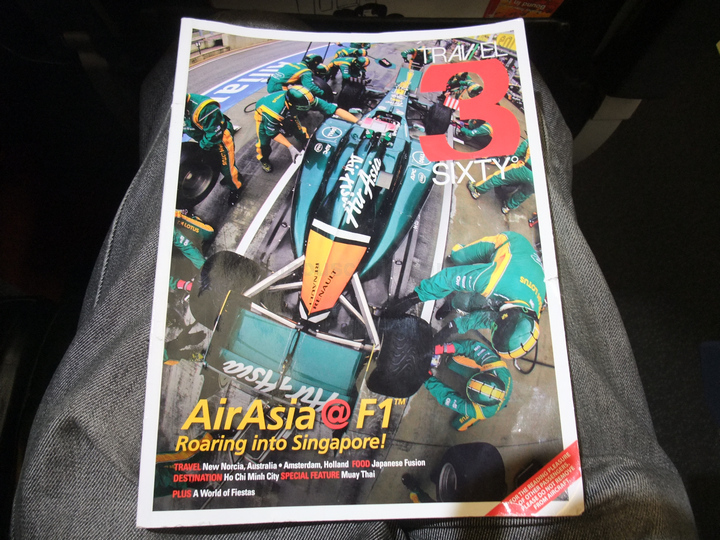 I’ve always loved reading AirAsia’s in flight Travel3Sixty magazine. 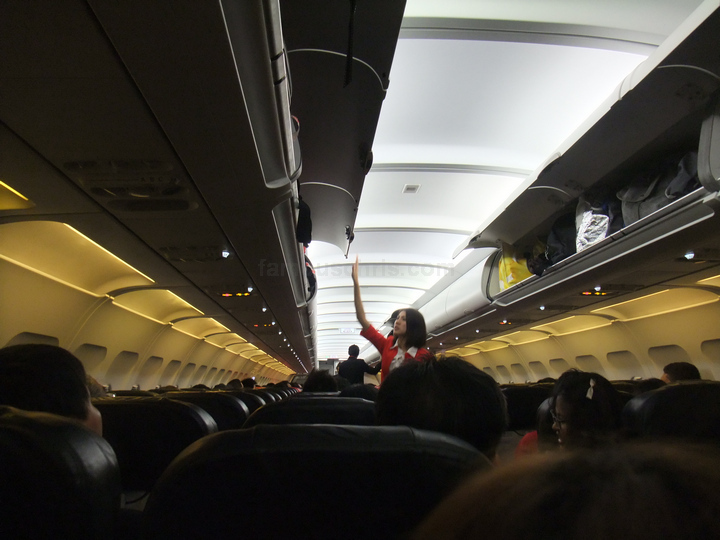 11.55 pm – The stewardess preparing the plane for take off which happened about 10 minutes later. 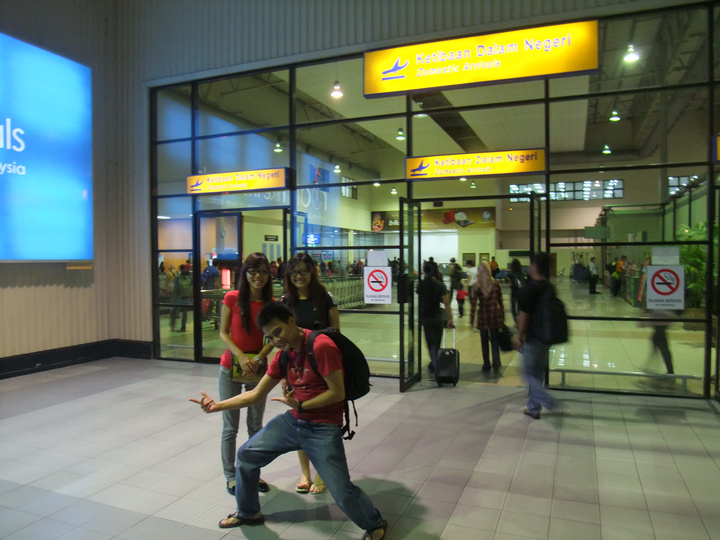 01.00 am – Arrived in KLIA-LCCT’s domestic arrival hall. 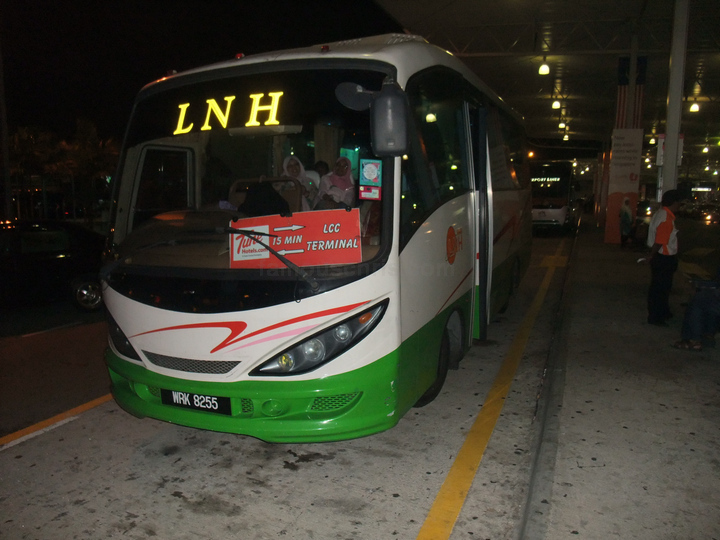 01.11 am – Waited by the bus stop for the Tune Hotel LCCT’s shuttle bus to arrive. 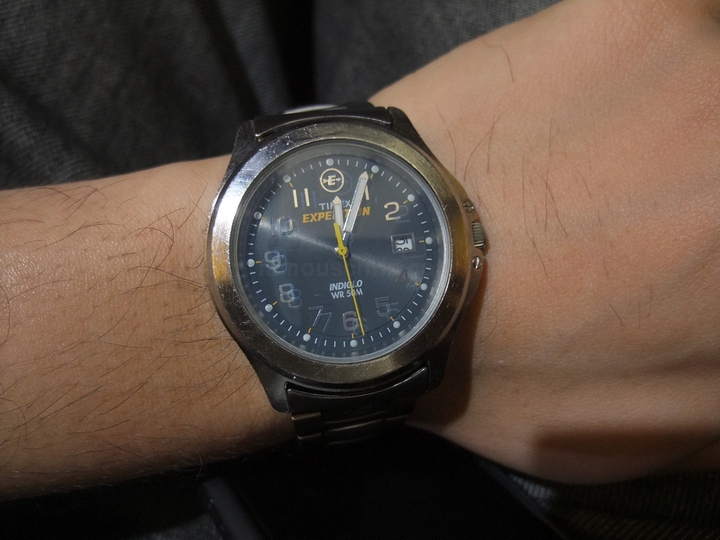 Which it did, 10 minutes later. 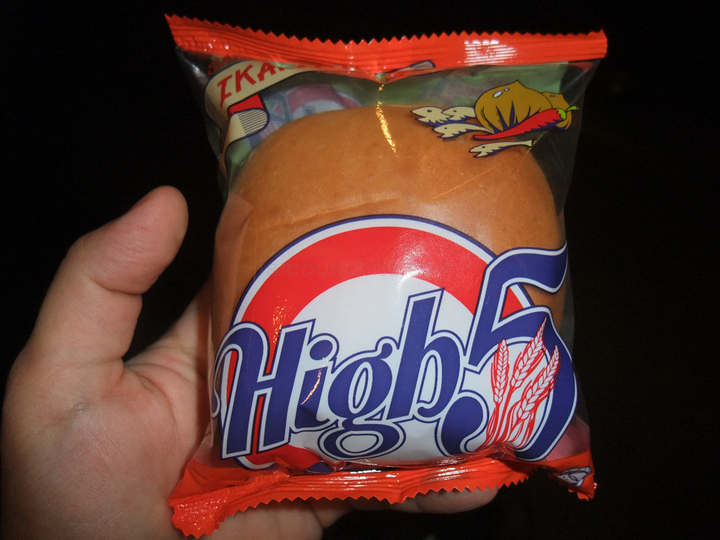 01.51 am – Bought a bun for hunger suppression. 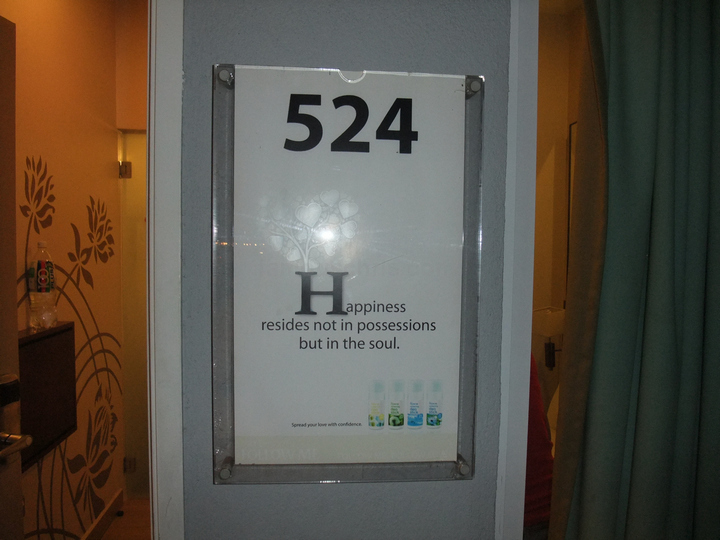 Checked in and got to our room at 524, one of the cornerest, most silent room where nobody passes by. A corner room by the back, far away from the lift is important as in Tune Hotels LCCT, you can constantly hear people talking as they pass by the corridor and hear the banging of the doors around your room. Bloody noisy. 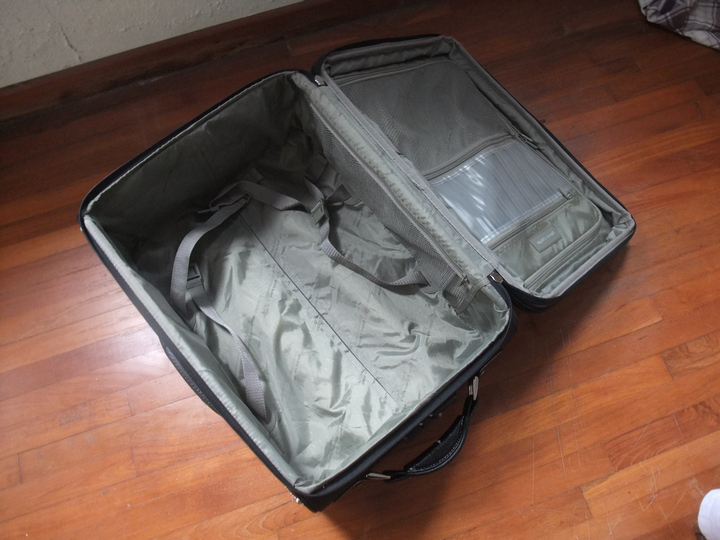 really really like your blog, especially for travel, it helps me a lot for making my itinerary. Previous Previous post: famouschris.com Is Now Mobile!